THE TRUTH ABOUT CRYPTO PRIVACY by LEXIE BITCOIN !! ADMPawards : Hello ! Can you introduce yourself ? Can you tell us a little bit more about your product ? Lexie: We are Express VPN and we sell VPN subscriptions. A VPN lets you circumvent censorship and allows you to more privately surf the web. Electronic counter-punch edited by H. Djoumessi, MA – ADMP Senior crypto analyst. ADMPawards : Hmmm…Allow us to add this : ‘A virtual private network (VPN) enables users to send and receive data across shared or public networks as if their computing devices were directly connected to the private network’. Many now use Bitcoin technology for their own improvement ! Do you? Lexie: There are many reasons why a credit card payment might fail. We accept Bitcoin as an alternative mean of payment, and also pay some of our partners and employees with it. On top of that, some of our customers are not comfortable handing out their credit card information. Bitcoin is a great alternative for them. ADMPawards : This sentence would summarize the amount of knowledge in cyber security amongst the new bitcoiners of late 2017? #BlackFridaY – How can you support entrepreneurs to learn more about the crypto revolution? is your Ebook part of your ‘outreach’ program? Lexie: We write a lot about Bitcoin, especially in relation to its security and privacy. Bitcoin functions very differently to traditional systems, and it’s quite important for people to know how Bitcoin works, if they want to use it effectively. ADMPawards : Digital scarcity created to increase trust in digital’ to summarize the Blockchain ecosystem – Have you been able to look at the Blockchain Ecosystem, on the AfrOTecH continent (Africa TecH)? Lexie: There is a lot that Bitcoin can do for people anywhere in the world. I find it very exciting how Bitcoin makes it easier to conduct commerce across the world, and it will make it much more feasible for young people in Africa to earn more and start their own companies. Excerpt From: Lexie M. “Bitcoin Security and Privacy (Smashwords).” iBooks. ADMPawards: Observers believe that, ‘Millennials’ are highly digitally connected and will be the largest group to come to the ‘New world order’ table, since the ‘Baby boomers’ – What is your personal prediction about cryptocurrencies in Africa ? Lexie: People in Africa who don’t have a bank account today will not have a bank account in the future. They will go straight to crypto. It works so much better. ADMPawards : True that! Welcome to the 21st century! The bubble keeps popping, so to speak: What do you think of the so-called ‘shitcoins’ (or ‘Altcoins) versus the ‘Bitcoin’ ? Lexie: I’m not very enthusiastic about shitcoins. Very few of them have shown to be significantly different from Bitcoin, and they are largely used by shady marketing people to raise funds and enrich themselves at the expense of others. I recommend not looking at cryptocurrencies as a get-rich scheme. But they can be a great tool for your existing business, or your existing line of work. Before you invest in anything, ask yourself, how does this work? Who profits from this? How can I use this product today in a way that benefits me? ADMPawards : Wise words, wise words. Talking about words, do you have any final Words to our dear readers ? 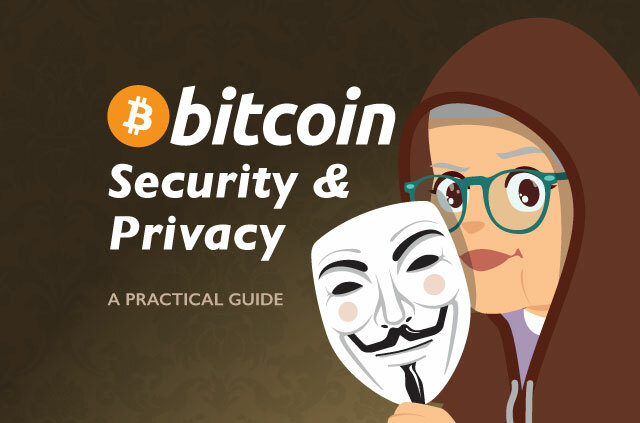 You can find Lexie’s Bitcoin Ebook on the Express VPN website. The eBook is released under a Creative Commons License (CC BY-SA 4.0), meaning you are free to share and remix Lexie’s work without fees, as long as you again release it under a similar license and give the appropriate credit. Express VPN and Lexie, would very much like to hear from you, no matter if it’s criticism, additional thoughts, suggestions, or corrections. Don’t be ‘shy’ and comment below! ** Entrepreneur, Startuper? Coder? CEO? Geek,… and You want to be published on ADMP? Send mail to: teamadmp@gmail.com and add your logo + Pictures from YOU and YOUR TEAM + 5 High quality HD Pictures, please! !